Some roll on wheels, others walk on legs and some can even fly! In this book you'll see many different Star Wars droids and then you'll build a few! This complete droid kit includes everything kids need to assemble BB-8, R2-D2, C-P30 and more. 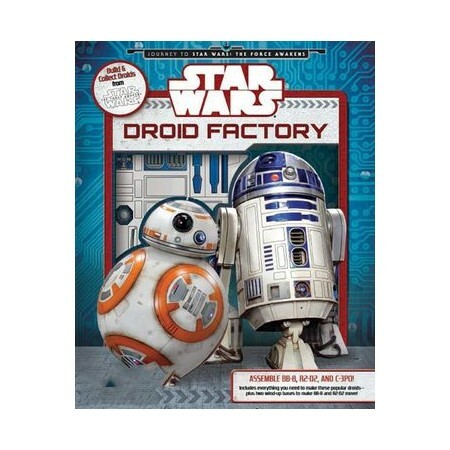 Includes a full colour paperback that reveals fun droid facts, instructions, press outs, and foil stickers to construct the droids, and 2 wind-up bases to make BB-8 and R2-D2 move.